I suppose Macallan 12 Double Cask represents the Edrington Group’s attempt to jump in on the Americanized Scotch train that started a few years ago (Glenfiddich 14 Bourbon Cask comes to mind). 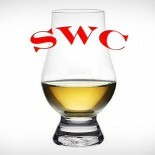 I cannot find the article for the life of me, but an editorial on ScotchWhisky.com explained the subtle attempts by some Scotch whisky makers to “Bourbonize” or “Americanize” their malt whisky, of course thoroughly Scottish in character. I found myself sympathizing with the writer, who, as you shouldn’t be shocked to find out, took issue with the syncretism. Scotch whisky’s traditions are writ in fire, and one could argue that bourbon’s traditions are equally singular, and as such there is no pressing need to combine the two. Nevertheless, because I am a dumb American that loves his bourbon aromas, I absolutely loved the previously mentioned Glenfiddich Bourbon cask and today’s Macallan Double Cask. I loved them a lot. More to the point this Bourbonization simply involves Scotch aged partially in new charred American oak rather than the traditional refills (or first fill to use the industry term). This lends more flavors derived from the oak, namely vanilla sweetness, and thusly you have a bourbonized Scotch, my friend. Macallan, known for aging completely in European sherry casks or the more stripped down malt aged in ex-bourbon casks, tries something completely new and untried: new charred American oak barrels are filled with sherry wine for a period of time that are then used to age Macallan’s house distillate. The resulting whisky is then blended with Macallan’s more familiar sherry oak aged whisky to form Double Cask. I hope that wasn’t confusing. Bottled at 43% ABV and priced somewhere in the $50 range, this aged stated malt seems like a good whisky for the money here, as prices have been going up and age statements going down. On to it…. Nose– Malty, sweet and grassy. Cream. Some light, salty tobacco and marsh weeds. Honey. Classic scotch with some nice vanilla sweetness. Lovely nose. Taste– A bit light on the taste with floral notes. Salted butter with some sherry sweetness. Citrus jam. Vanilla bean. Finish– Medium length but again a bit thin. Some oak and fruit. Comments– The thinness on the taste is the only bad mark as the nose is fantastic. We like the maturation process despite the category confusion. Love the age statement and price. Overall, a good bottle to buy. And remember, America First. Agree? Disagree? I will fight you. Unfortunately this is bottled at 40% and costs just under $100 CAD in Ontario, so a giant pass for me. I don’t blame you. The $100 tier, for me, is reserved for very few bottles. The price down here in the states is pefect. I enjoyed this one, but I agree on the thinness of it. Between the two I’d probably go for the Fiddich 14 again over this Mac. Mac 12 sherry would be the obvious choice for me between the sherry and double. I appreciate the experiment, but the Sherry oak would be my preferred as well. The bottle can commonly be found on sale where I am and I love almost every aspect on it’s makeup: the short stills-bigger flavor, golden promise barley, exclusive sherry aging, you can’t go wrong. To the Glenfiddich point, they use the new American oak without any “sherry seasoning,” as specified with Double Cask. It allows for more oak influence and I love that. That being said, I have both in my cabinet and love the “bourbonization,” I confess.